As the year-end holiday travel season quickly approaches, the Transportation Security Administration (TSA) expects to screen more than 25 million guests at airport security checkpoints across the United States making it one of the busiest Thanksgiving travel periods on record. Passengers visiting John Wayne Airport (JWA) between Friday, November 16 through Monday, November 19, and the Sunday after Thanksgiving will experience higher-than-normal passenger traffic. All passengers flying out of JWA are encouraged to arrive 90 minutes to two hours before scheduled departure times for domestic flights and three hours for international flights to find parking, check luggage and go through security screening checkpoints. Passengers who are members of TSA Pre✓® can expedite the screening process in Terminals A, B and C.
Passengers are allowed one small carry-on bag plus one personal item as long as the carry-on bag fits airline dimensions. Check with individual airlines for specifics. To learn more about Transportation Security Administration’s (TSA) 3-1-1 liquids rule for carry-on bags and other travel trips, visit the TSA website. Traveling with food tip: If you can spill it, spread it, pump it or pour it, the TSA considers this item a liquid and it should be packed in your checked bag. To view more TSA Thanksgiving travel tips, click here. “If You See Something, Say Something™.” To report suspicious objects or activity in the Riley Terminal: dial “0” from a White Courtesy Phone to reach an operator, dial 2-5000 to reach Airport Police Services or you may notify an Airport employee or a uniformed officer. Guests may also dial 949-252-5200 from a mobile device. Demand for parking is expected to be high. The Airport recommends passengers consider using all available parking options: Terminal-adjacent Parking Structures A1, A2, B2 and C, as well as curbside Valet Parking and the Main Street Parking Lot with free shuttle to the Riley Terminal. Curbside Valet Parking is available for $30 per day and is located on the Departure (upper) Level between Terminals A and B, or in front of Terminal C.
Parking Structures A1, A2, B2 and C are located adjacent to and directly across from the Riley Terminal at a rate of $2 per hour and $20 per day, with the first 15 minutes being free for those dropping off and picking up passengers. The Main Street Parking Lot located at 15132 Main St. in Irvine is available for $14 per day with free shuttle service to/from the Riley Terminal every 15 minutes. Travelers should plan ahead and visit the Parking Availability section on ocair.com prior to arriving at the Airport or call 949-252-5200 to inquire about real-time parking availability. Ride app pick-up locations within parking structures. Guests utilizing ride apps Uber, Lyft and Wingz for pick-up services should be aware of new pick-up locations in parking structures A2, B2 and C on the Departure (upper) Level. Ride app drivers will continue to drop off passengers on the Departure Level at curbside. Drivers picking up passengers are encouraged to utilize the Cell Phone Waiting Lot or the 2-hour parking spaces located on the lower level of Parking Structures A1, B2 and C. Access to the Terminal parking structures is available from the Departure (upper) Level only. Color-coded and numbered columns along the white curb on the Arrival (lower) Level roadway make meeting arriving passengers easy. Column 14 is also a designated JWA Yellow Cab pick-up location for Terminal C.
There are specific rules and exceptions for passengers traveling with infant care items. Please visit the TSA Tips for Traveling with Children for more information. International travelers should check the U.S. Customs & Border Protection (CBP) website to ensure they have appropriate travel documentation for visiting the United States. Note: Passengers who are members of the Global Entry Trusted Traveler Program can expedite their Customs clearance into the U.S. at John Wayne Airport. Passengers traveling to and from Vancouver, Canada, will clear Customs in Canada. 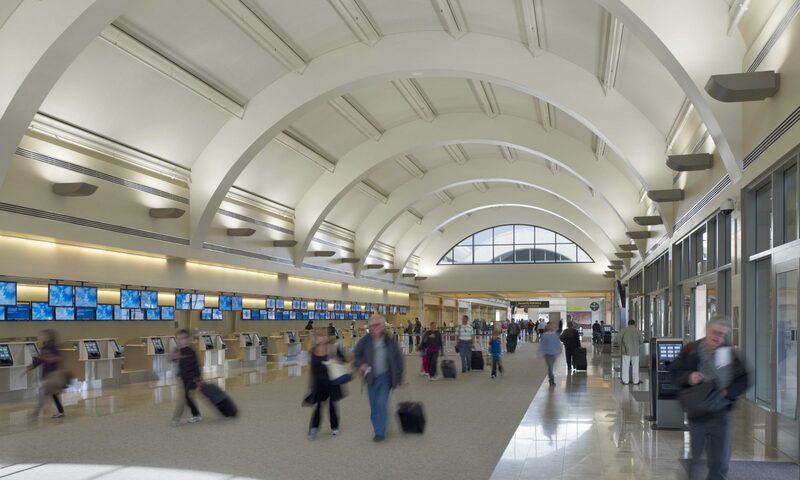 For more information about John Wayne Airport, visit ocair.com.